The Media Technology MSc program is proud to announce a lecture by Andy Cavatorta. Andy Cavatorta (andycavatorta.com) is a graduate of MIT’s Media Lab. He has designed an array of robotic musical instruments including the BloBot and Whirly-Bot. Most recently, he created four unique Gravity Harps for Bjork’s nature-themed album Biophilia, which premiered at the Manchester International Festival. Each of them is a three-meter-long pendulum with a cylindrical harp on the end. Gravity is used to set and synchronize the musical rhythms while computers control the note sequences. By designing his instruments, Cavatorta explores the ways in which we create meaning through sound. 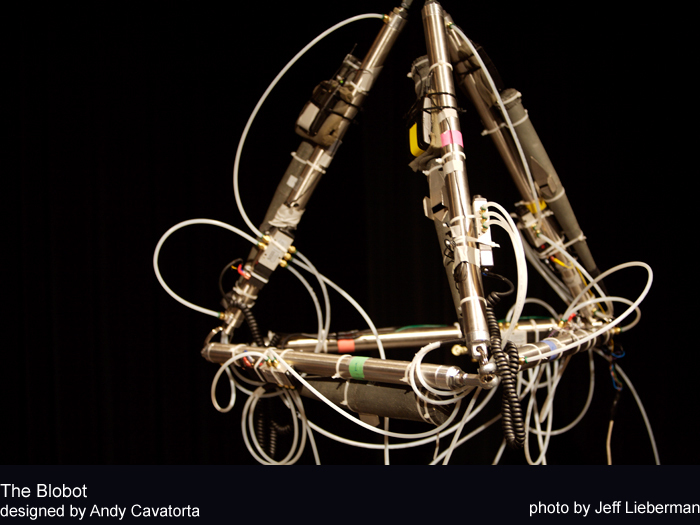 Andy will speak about both the technical and artistic aspects related to the development of his robotic instruments.